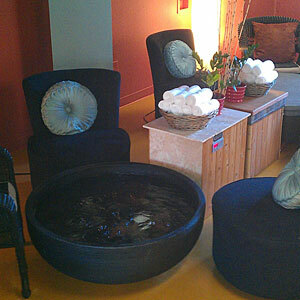 Treat yourself to a soothing soak and reflexology treatment at Ashiyu Foot Spas. The Northrup Street location is new, and its location is perfect if you've tired out your feet antiquing. Treat yourself to a soothing soak and reflexology treatment at Ashiyu Foot Spas. The Northrup Street location is new, and its location is perfect if you’ve tired out your feet antiquing.